My husband takes more showers than any person I know, which is definitely a good thing! The only downside of his great hygiene is that we go through soap and body products SO quickly it’s almost ridiculous. To stock him up on soap for a while I created a fun St. Patrick’s Day gift that I know he’s going to love! I bought a bunch of his favorite soap, Irish Spring, as well as few other green essentials, and packaged them all up in a large manly galvanized bucket for him. 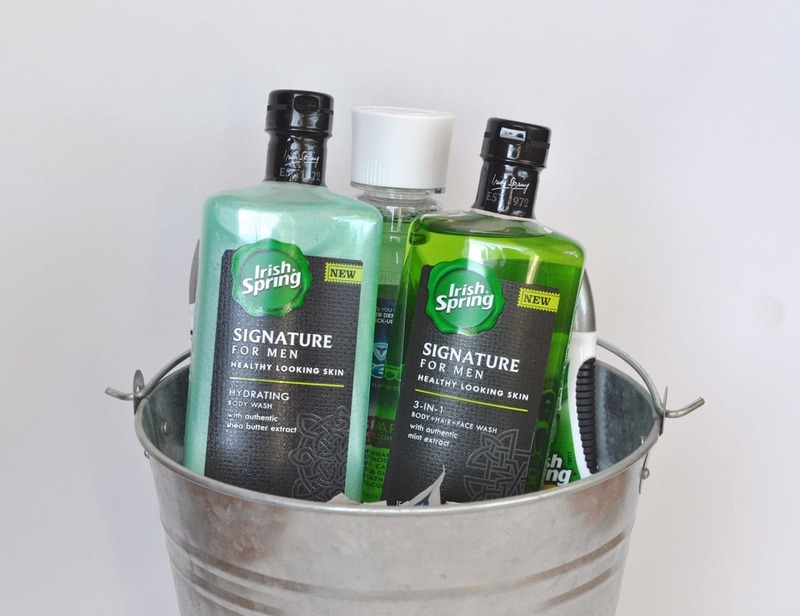 Irish Spring has a brand new line of signature products that are specially designed for the hip male in your life. There are two new kinds of soap, hydrating and exfoliating scrub, which are cut into larger modern “man-sized” bricks, and that look and smell amazing! I found everything I needed at Walmart for this gift. 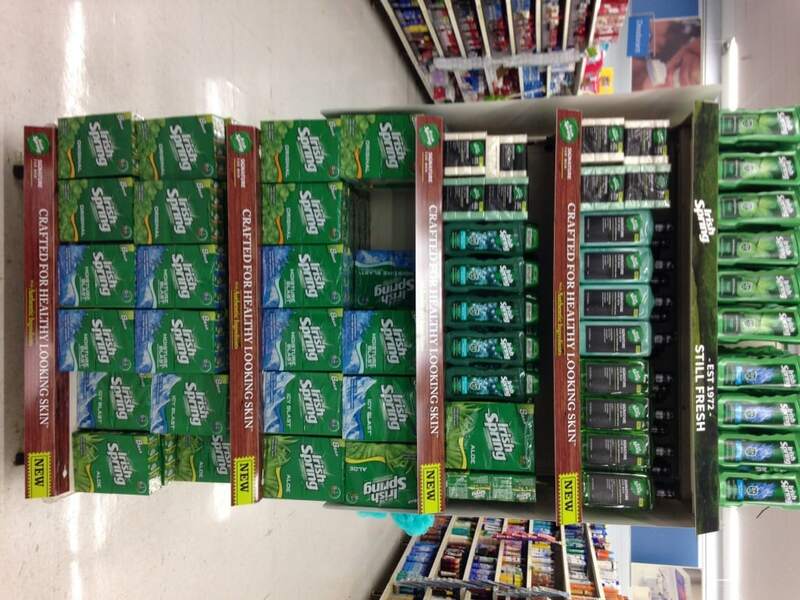 They had an endcap full of the new Irish Spring Signature Series products. Step 1. 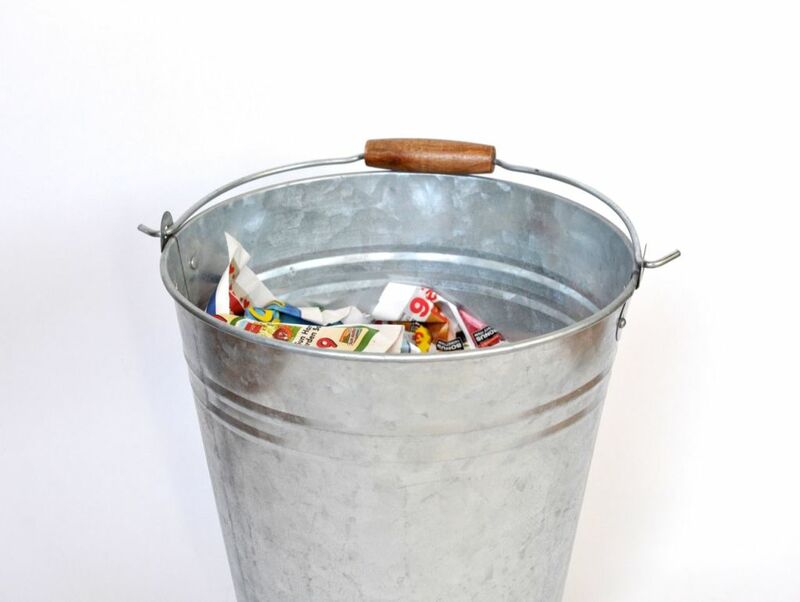 Place the crumpled newspaper in the bottom of the bucket as a filler. Step 2. 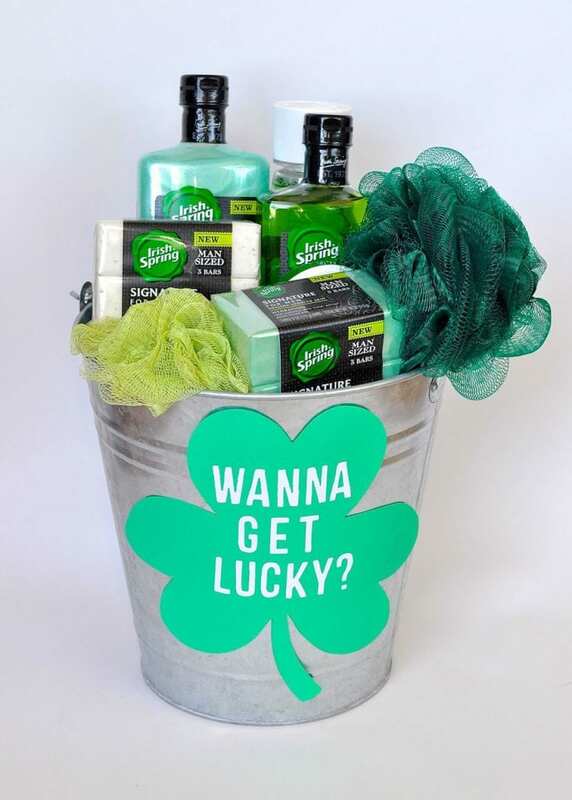 Place the green mouthwash in the back center of the bucket, and the Irish Spring Signature Body Wash in front of it, one on each side. Step 3. 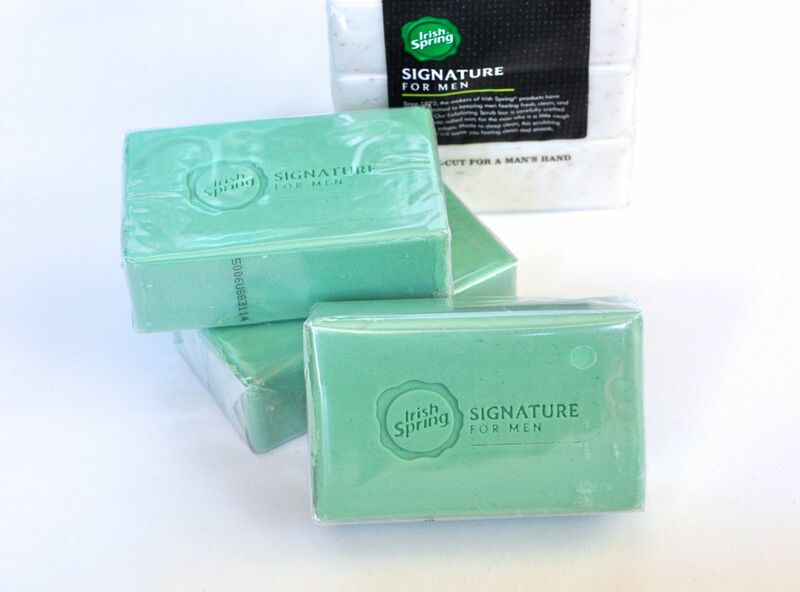 Add the Irish Spring 3-packs of Bar Soap (Hydrating and Exfoliating Scrub) and the green sponges. Find an open space and add in the green mints and gum. Step 4. 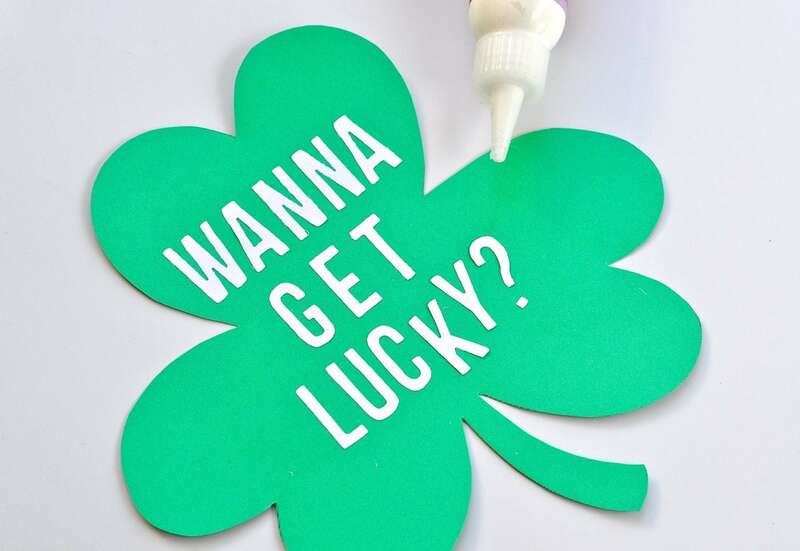 Google “shamrock printable,” and print a shamrock onto a green piece of paper. 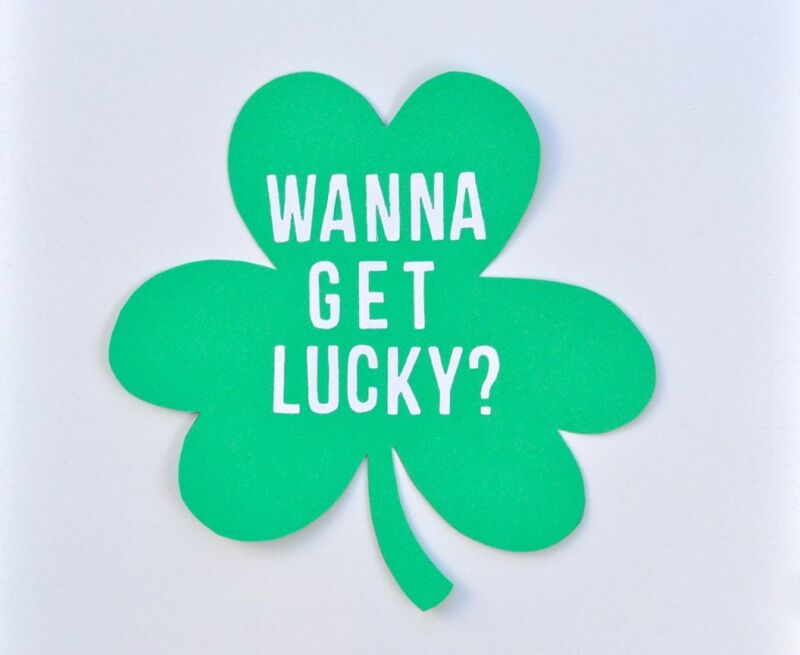 Cut it out, and use white letter stickers or die cuts (like I did) to add the words “Wanna’ get lucky?” to the front of the shamrock. Tape the shamrock onto the front of the bucket. Now surprise your man with this fun St. Patrick’s Day gift! 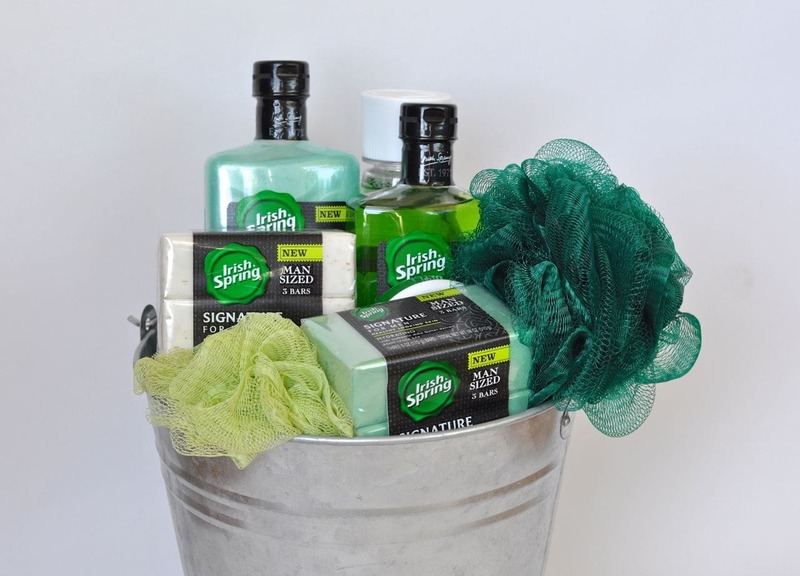 Whether your man is a multiple times a day showerer (like my husband), or he needs a little help in the hygiene department, chances are he’ll LOVE this fun gift basket! He’ll get a fun bonus too, because when you purchase one of the new Irish Spring Signature products, you can get $5 off a VUDU purchase! Just take a picture of your receipt and then go HERE to upload your receipt. Next step, enjoy watching!